Professor Clayton Gillette is the Director of the Marron Institute of Urban Management and the Max E. Greenberg Professor of Contract Law at the New York University School of Law, where he has worked since 2000. For the prior eight years, he was the Perre Bowen Professor of Law at the University of Virginia School of Law. 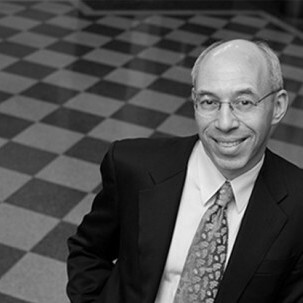 Professor Gillette began his teaching career at Boston University where he served as the Warren Scholar in Municipal Law and Associate Dean, and he has been a visiting professor at the University of Michigan and the University of Virginia as well as at the NYU School of Law. Gillette's scholarship concentrates on commercial law and local government law. He is the author of casebooks on Local Government Law (with Lynn Baker) and Payment Systems and Credit Instruments (with Alan Schwartz and Robert Scott), and a textbook on Municipal Debt Finance Law (with Robert S. Amdursky). Gillette's numerous articles include studies of long-term commercial contracts, initiatives, relations between localities and their neighbors, privatization of municipal services, and judicial construction of contracts governing homeowners associations. He has also served as the Reporter for the ABA Intersectional Task Force on Initiatives and Referenda and has consulted in litigation ranging from the Agent Orange Products Liability Litigation to the default on municipal bonds by Orange County, California and the Washington Public Power Supply System.